When I arrived, I sought out a chef to inquire what would be gluten-free. He asked about my level of gluten sensitivity (such as airborne), and then walked me around all the stations. He pointed out what options were available, and which to avoid, which was helpful in deciding where to eat. The only station he absolutely said was off limits for gluten-free eaters was the "Great Plains" station, which had many gluten-containing items and a potential for airborne flour. I wish I noted all of the safe options at each station, but there were too many to keep track of. I decided to settle on the green chili chicken posole, which is naturally gluten and dairy-free. This came from the mesoamerica station of the cafe. The posole was absolutely beautiful, and was topped with shredded cabbage and radishes as a garnish. The dish was generously portioned, so I went without any additional side dishes (though the safe tortilla chips would have been a good companion). The posole was the epitome of comfort food, soothing and creamy with a warm spice that wasn't too hot. 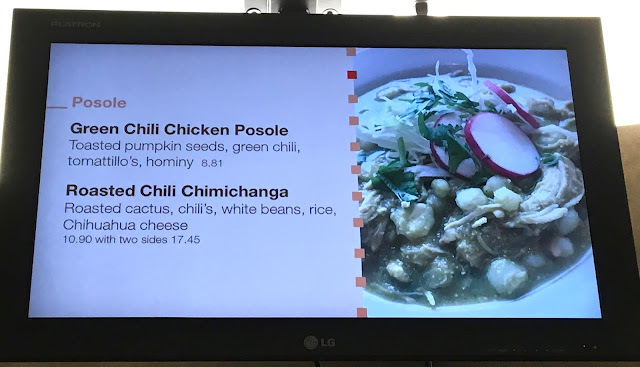 The chicken was unbelievably tender and the hominy was soft and slightly chewy. 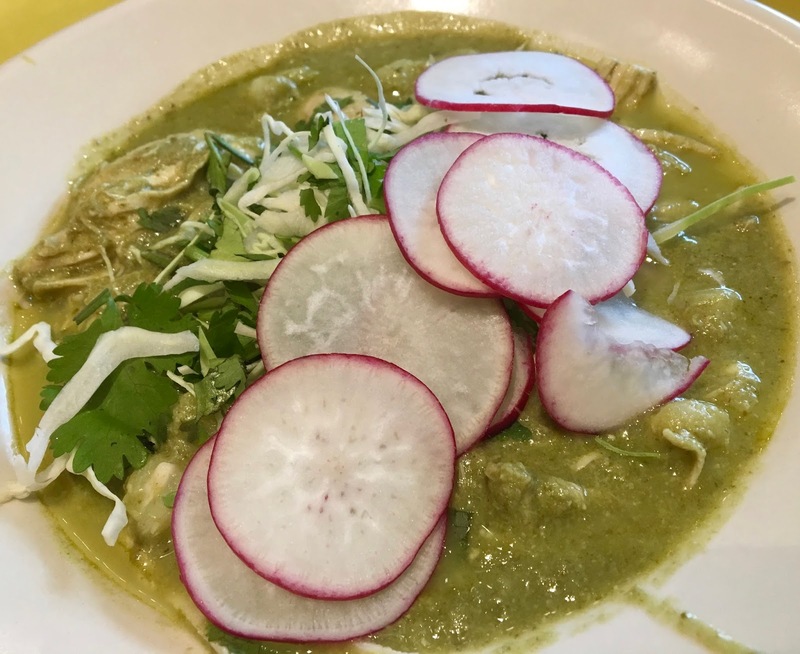 The green chili and tomatillos were in perfect proportion where they were not too overpowering at all. Before checking out, I was pleased to see that Mitsitam had lots of gluten-free and allergen-safe snacks on hand near the register. 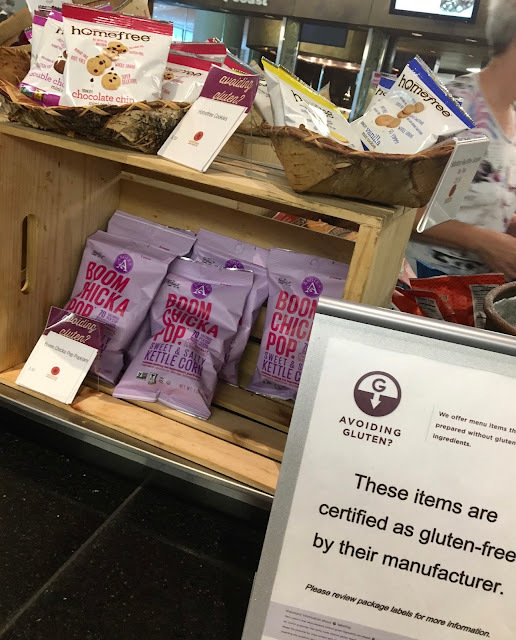 With safe popcorn and cookies, it's nice to have options that can be stashed away in a purse or backpack when trekking around the National mall. 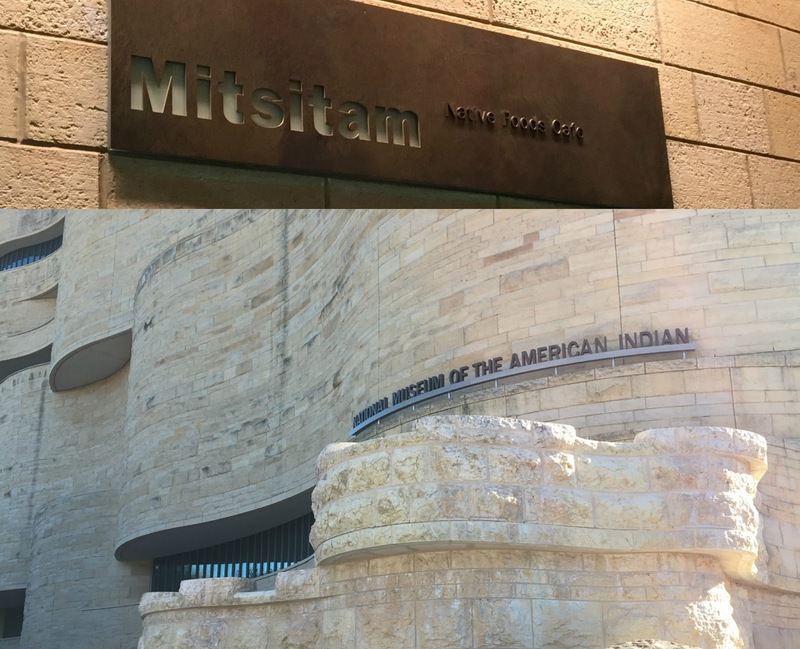 My meal at Mitsitam was lovely, and I will definitely make a point to come back and try the many other options the chef pointed out. It's a good problem to have when there are too many gluten-free options rather than too few. My only caution is that the price of the food is a little above average for lunch in D.C., but on the national mall there's no other restaurant with the scope and variety of food for people with dietary restrictions. The quality of the food is top notch, so I had no complaints whatsoever. Address: 4th St and Independence Ave SW, Washington D.C.